With Max Scherzer’s rise into Box-Toppers career points top 10 list this month, there are now six active players in the top 10, the most since 2008, when there were eight. Here are the top 10 in career Box-Toppers points as of June 21, 2018. On June 5, Nationals pitcher Max Scherzer became the sixth active player among the overall top 10 in career points, the most since the end of the 2008 season. With Max Scherzer’s rise into Box-Toppers career points top 10 list this month, there are now six active players among the top 10, the most since 2008, when there were eight. Here is a look at the number of active players have been on the list since the end of 2007 (when all 10 on the list were active). The number has dipped to as low as two active players on three occasions. 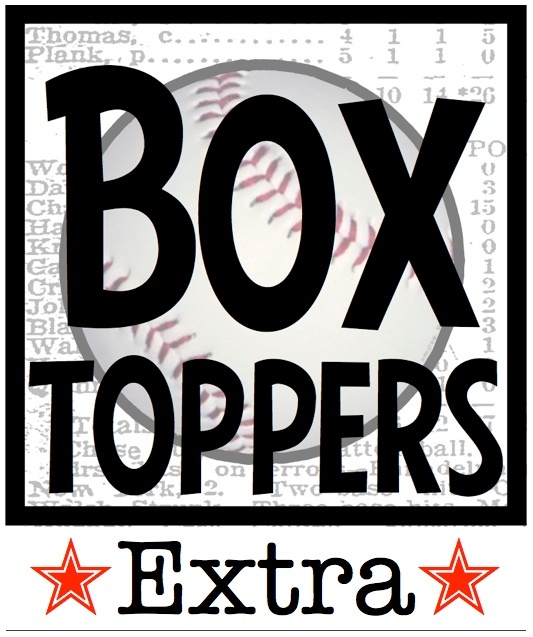 End 2007 10 Box-Toppers tracking began in 1995 and for the first 13 seasons, only active players were among the Box-Toppers career point top 10 list. Start 2008 8 Prior to 2008, 4th-ranked Roger Clemens and 8th-ranked Barry Bonds were no longer active. They were both listed as a free agents, but never played again. Start 2009 5 3 top 10 players retired: Curt Schilling, Mike Mussina and Greg Maddux. Start 2010 2 2 top overall players retired: Randy Johnson and Pedro Martinez. John Smoltz was listed as a free agent all of 2010. 7/3/2010 3 Johan Santana passes Maddux to join the top 10. April 2011 2 Manny Ramirez announces retirement. 7/8/2011 3 Roy Halladay passes Bonds to join the top 10. Start 2012 4 5th-ranked Ramirez comes out of retirement, signing with Athletics. 5/10/2012 5 CC Sabathia passes Mussina to join the top 10. June 2012 4 Ramirez becomes a free agent. June 2013 5 Ramirez signs with Rangers. August 2013 4 Ramirez released by Rangers. Start 2014 2 Halladay retires. Alex Rodriguez considered inactive due to season-long suspension. 4/22/2014 3 Albert Pujols passes Smoltz to join the top 10. May 2014 4 Ramirez signs with Cubs. Start 2015 4 Ramirez is unsigned and considered inactive. Rodriguez returns from suspension. July 2015 3 Santana released by Blue Jays. 5/1/2016 4 Clayton Kershaw passes Clemens to join the top 10. 8/13/2016 3 Rodriguez released by the Yankees. 8/15/2016 4 Felix Hernandez passes Santana to join the top 10. 7/7/2017 5 Zack Greinke passes Ramirez to join the top 10. 6/5/2018 6 Max Scherzer passes Halladay to join the top 10. Active—Number of active players among Box-Toppers career points top 10 list shown on the dates when the number changed. Scherzer, the Nationals pitcher, became the 10th-ranked player on Box-Toppers “all-time” list on June 5 with 172.1 career points, passing Roy Halladay (170.7). Box-Toppers tracking began in 1995. From the advent of Box-Toppers tracking in 1995 through the end of the 2007 season, the career points top 10 list consisted of nothing but active players, all of whom began their careers prior to 1995. Pitcher Roger Clemens, who ranked fourth at the time with 164.8 career points from 1995 to 2007. Outfielder Barry Bonds, who ranked eighth at the time with 153.2 career points from 1995 to 2007. Both players, under the cloud of suspected performing enhancing drug use, were listed as free agents the entire 2008 season and never played in the Major League again. Pitcher Curt Schilling, who ranked third with 194.1 career points. Pitcher Mike Mussina, who ranked seventh with 155.6 career points. Pitcher Greg Maddux, who ranked 10th with 151.7 career points. Pitcher Randy Johnson, who ranked first (and still ranks first) with 278.8 points, retired. Pitcher Pedro Martinez, who ranked second (and still ranks second) with 244.8 points, retired. Outfielder Manny Ramirez of the Dodgers, who ranked fifth with 163.2 career points. Third baseman Alex Rodriguez of the Yankees, who ranked eighth with 153.4 career points. Both Ramirez and Rodriguez were on the top 10 list at the end of 2007 when all 10 players on the list were active. At the time, Ramirez ranked sixth with 157.7 career points and Rodriguez ranked 10th with 146.5 career points. The number of active players among the top 10 remained at two until July 3, 2010, when Mets pitcher Johan Santana became the third active player on the list, rising to 10th place, passing Maddux. From April 2011 to July 7, 2011—The number of active players slipped from three to two after Ramirez announced his retirement in April 2011. But the number rebounded to three on July 8, 2011, when Phillies pitcher Roy Halladay reached 153.3 career points, rising to 10th place and passing Bonds. From the start of 2014 to April 21, 2014—At the end of 2013, there were four active players among the top 10, but prior to 2014, Halladay retired and Rodriguez was considered inactive due to his season-long suspension under baseball’s performance enhancing drug policy. But the number rebounded to three on April 22, when Albert Pujols of the Angels reached 161.3 career points, rising to 10th place and passing Smoltz. Ranked first in 2008 with 271.1 points as an active player. Today, he still ranks first with 278.8. He retired at the end of the 2009 season. Ranked second in 2008 with 241.1 points as an active player. Today, he still ranks second with 244.8 points. He retired at the end of the 2009 season. Ranked third in 2008 with 194.1 points as an active player. Schilling held the third-place ranking in “all-time” points continuously from July 21, 2001, until May 23, 2017. Today, he ranks fifth with 194.1. He retired at the end of the 2008 season. Ranked fourth in 2008 with 164.8 points and was listed as an inactive free agent. He exited the top 10 on May 1, 2016, passed by Kershaw. Today, he ranks 14th with 164.8. He last played in 2007. Ranked fifth in 2008 with 158.2 points as an active player. He last played in 2009. He exited the top 10 on April 22, 2014, passed by Pujols. He now ranks 16th with 160.9 points. Ranked sixth in 2008 with 157.7 points as an active player. In April 2011, he announced his retirement. While he never played in the Majors after that, he did become an officially active player signing minor league deals on several occasions from 2011 to 2014, as he remained ranked in the “all-time” top 10. He exited the top 10 on July 7, 2017, passed by Greinke. He now ranks 12th with 167.2 points. Ranked seventh in 2008 with 155.6 points as an active player. He retired prior to the start of the 2009 season. He exited the top 10 on May 10, 2012, passed by Sabathia. He now ranks 21st with 155.6 points. Ranked eighth in 2008 with 153.2 points. He last played in 2007. He exited the top 10 on July 8, 2011, passed by Halladay. He now ranks 22nd with 153.2 points. Ranked ninth in 2008 with 151.7 as an active player. He retired prior to the start of the 2009 season. He exited the top 10 on July 3, 2010, passed by Santana. He now ranks 23rd with 151.7 points. Ranked 10th in 2008 with 146.5 points as an active player. He rose as high as fourth place on the list, a spot he held from April 2011 to April 2017. Box-Toppers considered him inactive during the 2014 season, when he served a performance enhancing drug-related suspension. He was returned to the active rolls in 2015 but was released by the Yankees and again considered inactive on August 13, 2016. Today, he ranks seventh with 187.0 points, one of only four who appear in the top 10 in both the 2008 and 2018 lists (the others include Johnson, Martinez and Schilling). Joined the top 10 on July 23, 2010, passing Maddux. He rises as high as sixth place from July to August 2012. He fell out of the top 10 on Aug. 15, 2016, when he was passed by Hernandez. He has been considered inactive since his 2015 release from the Blue Jays though he is still officially listed as a free agent. He now ranks 13th with 166.6 points. Joined the top 10 on May 10, 2012, passing Mussina. He reached his highest ranking of fourth place on April 29, 2018, the spot he currently occupies with 196.7 points. Sabathia, 37, is currently active, pitching for the Yankees. Joined the top 10 on April 22, 2014, passing Smoltz. He is currently at his highest ranking of sixth place with 187.8 points, a spot he has held continuously since August 2017. Pujols, 38, is currently active, playing for the Angels. Joined the top 10 on May 1, 2016, passing Clemens. He reached his highest ranking of third place on May 23, 2017, the spot he currently occupies with 209.8 points. Kershaw, 30, is active and pitches for the Dodgers. Joined the top 10 on Aug. 15, 2016, passing Santana. He rose as high as eighth place from July to August 2017. He currently ranks ninth with 174.1 points. Hernandez, 32, is active and pitches for the Mariners. Joined the top 10 on July 7, 2017, passing Ramirez. He reached his highest ranking of eighth place in August 2017, the spot he currently occupies with 180.2 points. Greinke, 34, is active and pitches for the Diamondbacks. Joined the top 10 on June 5, 2018, passing Halladay. He ranks 10th with 172.1 points. Scherzer, 33, pitches for the Nationals. May 10, 2012—CC Sabathia joins the top 10, passing Mike Mussina. The five active players are Rodriguez, Ramirez, Halladay, Santana and Sabathia. The number of active players slips to four only a month later, in June 2012, when the Athletics and Ramirez part ways, making him an inactive free agent. June 2013—Free agent Ramirez signs with the Rangers, rejoining the list of the same active five players as the year before—Rodriguez, Ramirez, Halladay, Santana and Sabathia. The number of active players slips to four again only two months later when Ramirez is released by the Rangers. July 7, 2017—Zack Greinke joins the top 10, passing Ramirez. The five active players are Clayton Kershaw, Sabathia, Pujols, Felix Hernandez and Greinke. Scherzer joined June 5, passing Halladay, bringing the total of active players among the top 10 to six. There have been five or more active players among the top 10 now for more than 11 months, the longest stretch since there were five active players among the top 10 for one year from the start of the 2009 season to the start of the 2010 season. While having six active players among the top 10 suggests a resurgence in dominant players racking up huge career Box-Toppers point totals, it also should be noted that 11 current active players have more career Box-Toppers points than the 10th-ranked player in career points did at the close of the 2008 season. Rangers pitcher Cole Hamels, 159.8 points, 17th. Cubs pitcher Jon Lester, 159.6 career points, who ranks 18th. Rangers pitcher Bartolo Colon, 155.9 points, 20th. Miguel Cabrera of the Tigers, 147.9 points, 26th. So this suggests that dominant players from different eras who play long enough tend to have similar career Box-Toppers point totals. Rodriguez earned 146.5 points over 13 seasons from 1996 to 2008 and Cabrera earned 147.9 points over 16 seasons from 2003 to 2018. But on the other hand, most of the players on the top 10 at the end of 2008 actually started their careers prior to the 1995 advent of Box-Toppers record keeping. Their point totals exclude what they might have earned in 1994 and before. If you estimate their point totals prior to 1995, those early players’ point totals completely dominate the totals of today’s active players. Note that eight of the players on the list are inactive and all eight of them played prior to 1995 (denoted with an asterisk). Their estimated Box-Toppers point totals in 1994 and before were added to their actual totals in 1995 and beyond. There are only two active players on this list augmented with select players’ estimated point totals—Kershaw and Sabathia.